The month of November was a great month for the Homes for Heroes® Foundation and those it serves. 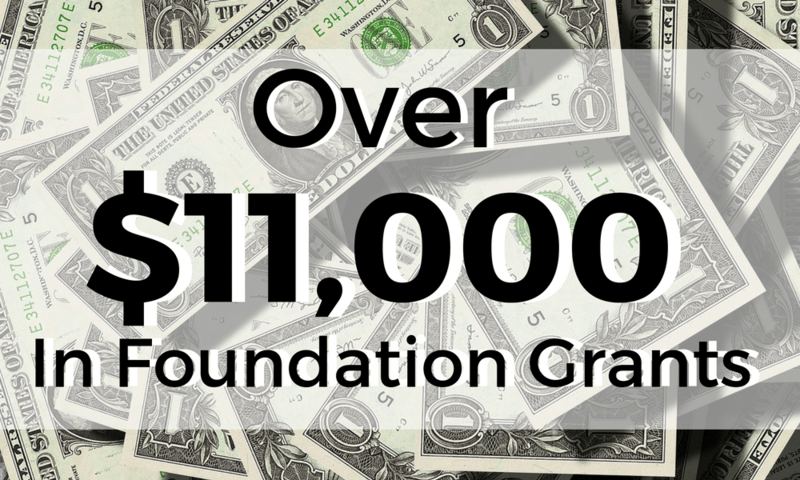 After all of the numbers were submitted and added, the foundation was able to provide over $11,000 in foundation grants to those in need. Check out the list below to see who the foundation was able to help! Editors Note: This list is subject to change. Anonymous of Ravena, NY, a homeless disabled veteran with wife and newborn, received $2800.00 for first month’s rent and deposit. Laytonya Wilson of Lexington, SC, a homeless disabled veteran with cancer, received $1800 for one month’s rent and deposit. Anonymous of Savannah, GA, a disabled veteran with family, received $1350.00 for first month’s rent and deposit. Anonymous of the Bronx, NY, a disabled veteran, received $1,324.00 for one month’s rent. Cindy Beanum of Hinesville, GA, a homeless disabled veteran with children, received $950.00 for rental deposit. Julian Trujilo of Albuquerque, NM, a firefighter whose wife has loss of income due to cancer, received $890.00 for past due electric bills. Anonymous of Savannah, GA, a disabled veteran, received $841.00 for past due rent and utilities. Jeremy Goldtz of Phoenix, AZ, a disabled veteran, received $613.00 for past due electric bills. Josh Grobelch of Tomah, WI, a disabled veteran, received $550.00 for deposit- HUD VASH property. Connect with a local specialist today to maximize your savings. We are committed to serving American heroes and maximizing what they can save on a home. On average, our heroes save over $2,400 when they buy, sell or refinance a home with our local specialists. It’s our way to say, “thank you” for your service. ☆Homes for Heroes, Inc. is a licensed real estate company in the state of Minnesota. Hero Rewards not available in all states. Hero Rewards offers are limited and/or restricted in Alaska, Kansas, Louisiana, and Mississippi. All savings amounts are estimates. The actual Hero Rewards amount may vary based on the services used, sale price of the home (less appropriate credits), and in special circumstances, including, but not limited to, new construction, below average commission, and For Sale By Owner sales. You must be enrolled with Homes for Heroes and be represented at closing by a Homes for Heroes agent affiliate to be eligible for home price savings. You must work with loan officer and business affiliates to receive additional service-related savings. Contact Homes for Heroes for further details. © 2019 Homes for Heroes. All rights reserved.